It was allegedly mentioned in the 9th century, but this can not be proven. The first mention under the name Plant d'Anjou took place in 1496, when Thomas Bohier bought vineyards from the Château Chenonceau in Indre-et-Loire, which were among other things planted with it. The later name Chenin Blanc was assigned to the Monastery of Mont-Chenin at Cormery, from where they are located in the area Touraine spread. Under this name, it was also mentioned by the Franciscan monk François Rabelais (1495-1553) in 1534 in his work "Gargantua and Pantagruel" and called the wine as "gentil vin blanc" with healing effects. The medium-maturing vine is very susceptible to Botrytis, Real mildew and wood diseases. It produces acidic white wines with aromas of honey and apples, suitable for sparkling wine production and distillation suitable. Due to the Botrytisanfälligkeit she is also happy for noble sweet Wines used. 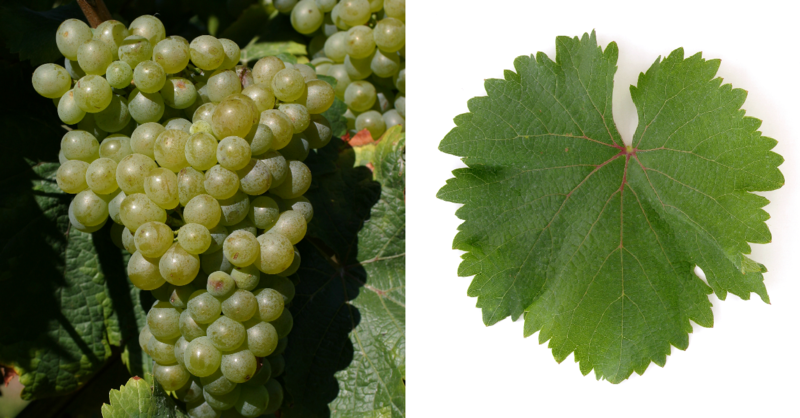 With appropriate yield restriction and expansion, it can also provide very good qualities with aging potential and is one of the extended circle of the world's best grape varieties, the so-called Cépages noble, In the New world Because of the tasty berries, it is also known as table grape used. In France are thus occupied 9,825 hectares of vineyards with declining trend; By the end of the 1950s, it had been ~ 16,500 hectares. The largest areas are in the départements of Maine-et-Loire around Angers (~ 5,000 ha) and Indre-et-Lore around Tours (~ 3,000 ha). Here is the variety in the Loire -Appellationen Anjou. Bonnezeaux. Crémant de Loire. Quarts de Chaume. Saumur. Savennières. Touraine and Vouvray authorized. Other European countries are Italy (45 ha), Switzerland (6 ha), Spain (100 ha) and Hungary (6 ha). In South Africa It was founded in 1655 by the governor and viticultural pioneer Jan van Riebeeck (1619-1677) and became immensely popular. There she is under the name Steen with 18,515 hectares the most common variety. The largest quantities are in the areas Paarl. Malmesbury and Olifant's River, The particularly suitable variety for South African conditions is the basis for distillates and high-quality white wines. This page was last modified at 17 December 2018 at 09:11.